Berenice Quezada from El Rama, Nicaragua was crowned Miss Nicaragua 2017. 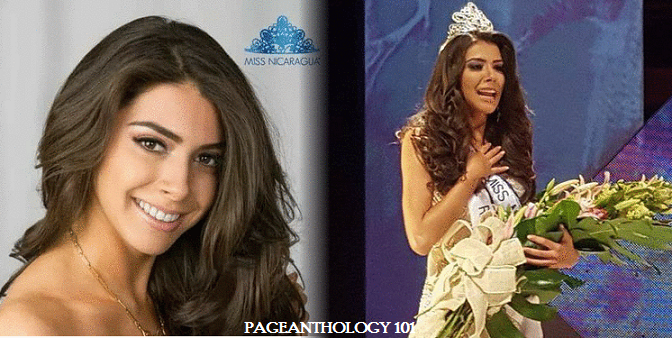 She bested 11 other beauties and will now have the rights to represent her country at the 2017 Miss Universe pageant. She succeeded last year's winner Marina Jacoby. Helen Triminio, first runner-up will represent Nicaragua at the Miss International 2017 pageant in Japan. Berenice, a 6th year medical student, won most the awards at the competition and is trained by Legendary Queen Maker, Vanessa Sahatoo Manoo of Miss Oneness Organization. Nicaragua had only three Miss Universe Semifinalists to date.